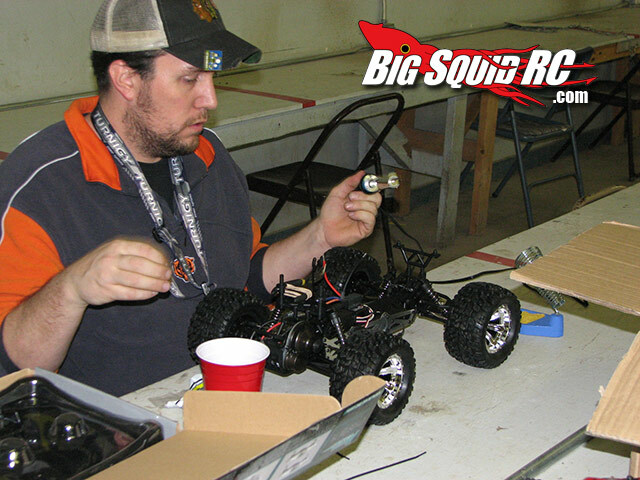 Venom Pro Charger 2 & PS 600 Power Supply « Big Squid RC – RC Car and Truck News, Reviews, Videos, and More! Venom Group is introducing a new battery charger and a power supply for the summer bash season. 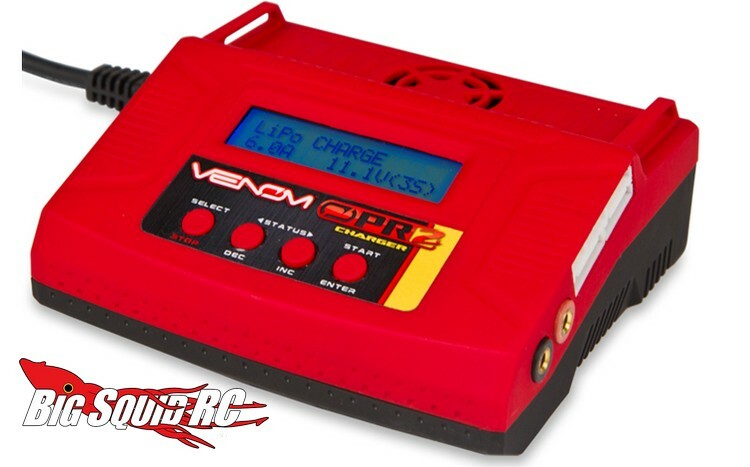 The new Venom Pro Charger 2 comes with an internal power supply and is capable of charging at up to 6 amps. Some of its other features include- can charge up to 6S Lipo, on-board balance block, fan cooled, five memory profiles, and comes with 9 of the most popular charge leads. The part number is #677, the street price is $69, and it is expect to hit hobby shop shelves in mid-May. 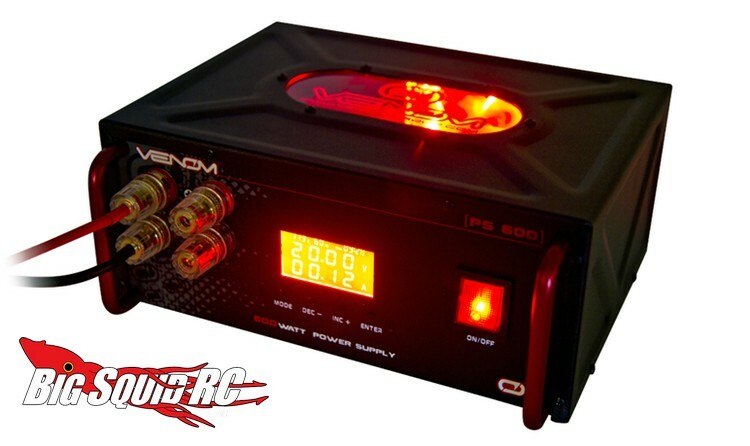 Also new from Venom is their PS 600 Power Supply. This is a dual output unit that is constructed out of stamped steel. For power, the PS 600 is good for up to 40 amps (600 watts max) and it has an adjustable output of zero to twenty volts. A backlit LED screen makes it easy to read while a fan helps it to keep its cool. The part number is #0673, the street price is $199, and it has an expected release date of late May. For more information on all of the fine products from Venom Group hit up THIS LINK. Brian is doing his happy dance around the office today and that means only one thing, it’s Friday! How about a TGIF Mystery Link?